a kitchen for happy folk. My husband and I whole-heartedly believe in the Gospel message of Jesus Christ. Part of that message necessitates that missionaries go spreading the good news to those who have no access to the truth that Jesus came into this world from His heavenly dwelling as fully man and fully God, lived a sinless life, and died the death prophesied from of old that you and I may enter into His righteousness. We could never have attained holiness without the blood shed of Jesus Christ– I could never have attained holiness or handled the wrath of God against sin on my own. But death wasn’t His end, He rose triumphant from the grave conquering sin and death once and for all. We can now enter into Christ’s righteousness through faith in Him and Him alone. Back to missionaries, we have dear friends that have followed the call into missions. They will be leaving the country with their three children and making a new home in a faraway land. I feel so honored to know them and be of support both monetarily and through prayer. We got to have them over for dinner on Christmas Eve. That was the first time I ever cooked for a full family— and by that I mean children. But they were precious and ate without complaining even once. And tried so hard not to laugh when the catsup bottle made farting noises. I can’t help but praying that when I have children that the Lord helps me teach them respect and generosity the way that my friends have. I will miss my friends but am thrilled by their obedience to God’s call. 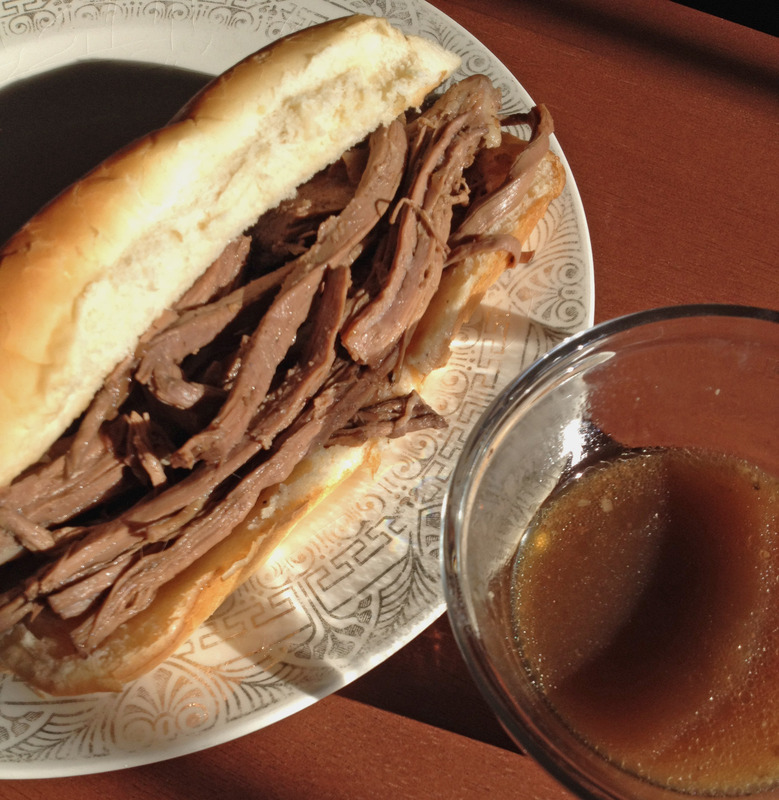 I cooked the easiest crockpot version of French Dip known to man hoping to send them off well. I advise you to cook this for your friends. Bread, cheese, and juicy meat go fabulously with friends– and apparently some children. First put the meat in the crockpot. Pour the cans of beef broth and French onion soup on top of the meat. Let cook on low for 7-8 hours. Shred the meat 30 minutes before eating.